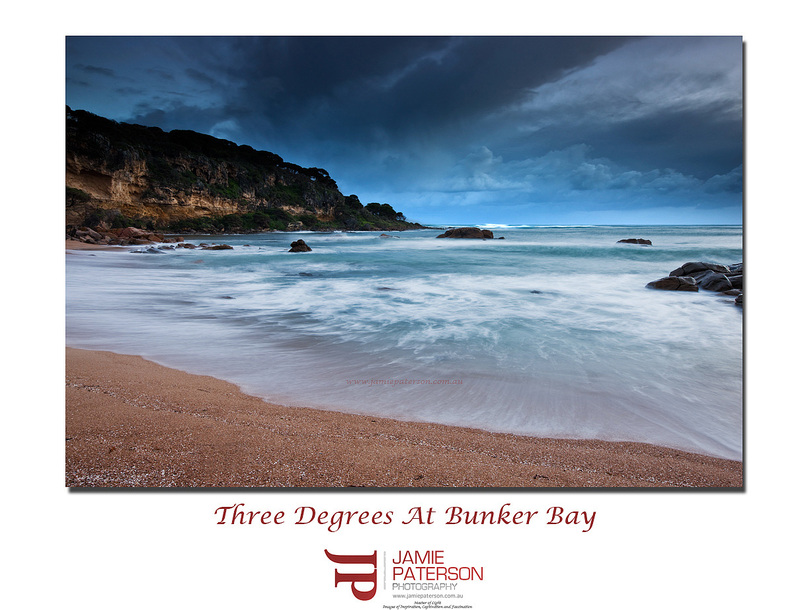 This entry was posted in Australian Landscapes, Australian Seascapes, Beach Photos and tagged australia, beach, canon, Jamie Paterson, landscape, long exposure, margaret river, ocean, seascape, south west, sunrise, water, western australia, yallingup. Not bad Jamie, given the conditions, I quite like it. Congrats for having the spirit in even getting out there to take some pictures. Thanks for the comment. Yeah I have to admit its not easy getting out of a nice warm bed knowing that your chances of getting an amazing shot are slim. Its the one morning that you sleep in though that you’ll wake up and hear everyone talking about the amazing sunrise. Merv I think I need to listen that great advice! the weather is the same in victoria jamie! Thanks for stopping by as always. I thought Victorian weather was always like this? hehe. Hey Jamie. Nice one… i know how hard it is to drive all the way down south to get stooged by terrible weather!! I was down at Dunsborough for the night last weekend and picked the worst weekend to go. Crazy winds were coming off the ocean and it bucketed down too. I managed to fire off a couple at Meelup before i got rained out. BTW.. which lens are you using for these shots? Thanks for commenting. Its heartbreaking isn’t getting down south only for it to be a waste of time, though I did manage to find a new shooting location on my last trip down. I used the Canon 16-35mm F2.8 lens for this shot. Thank you very much for your fantastic comments. What is your WordPress blog link so that I can check out your site? Thanks for the invite I’m always up for a shoot in this great state of ours. Thanks for that. Some of your photos have been absolute stunners as well. Look forward to seeing more. Yep nice shot Jamie for sure. That is a great spot where you took that shot. I have a cool Moonrise shot right there!! I’ve seen that sunrise shot and I must to admit I was jealous at such a great shot. See you on Thursday along with the others. no specs? I’ve been testing out this water effect, I can’t seem to get the right f stop, it only goes up to 27 and in full light, the image can still come out washed out from too much light. suggestions? Thank you for stopping by. You really won’t get the water movement in full sunlight unless you had a really dark ND filter you should be taking the shots early morning or late evening in you want so good water movement. So the settings (can’t believe I forgot them) are F16, ISO50 and the shutter was 3.2secs. To hold the shutter open for that long I had to take the shot pre sunrise. It’s Perth… you know, in a few months time you won’t see rain or a cloud for 2 months. Thank you for commenting mate. You are so right, in two months time you’ll see a stack of posts from us wanting clouds again! If only we could follow the weather around the world. How cool woud that be? Nice scene jamie and nicely captured … I like the clouds and would try highlighting those a little more, maybe by hiding that limestone rock on the left a little will bring out those clouds …. ? Thank you for the tip. I’ll give it a bash over the weekend and check it out. I agree its a G rated blog but I get the picture and 100% agree! Are you enjoying being up North? Hi Jamie, thanks so much for your reply, that really helps me out. I thought I was doing something wrong, but I’m glad that I’m not. Will definitely try the water movement later in the day, moving towards the evening. Thanks for the tip! Hi Katie, no problems its my pleasure. Just remember though it has to be quite dark for you to be able to capture the water movement. It would probably be best at sunset or 10mins or so after sunset.